Probe Shockbox Laminate Inset 1 Door Locker - This extra strong locker has a 10mm Solid Grade Laminate door with extra strong hinges - strength to withstand the stresses of school use. 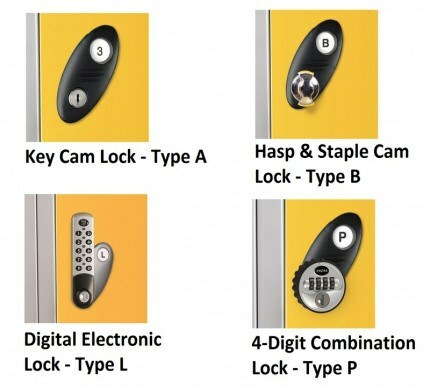 The hard wearing laminate door is available in a selection of 8 beautiful shades and with a choice of 4 locking systems - Key, Mechanical or Digital Electronic locks plus Hasp and Staple to be locked with an optional padlock. 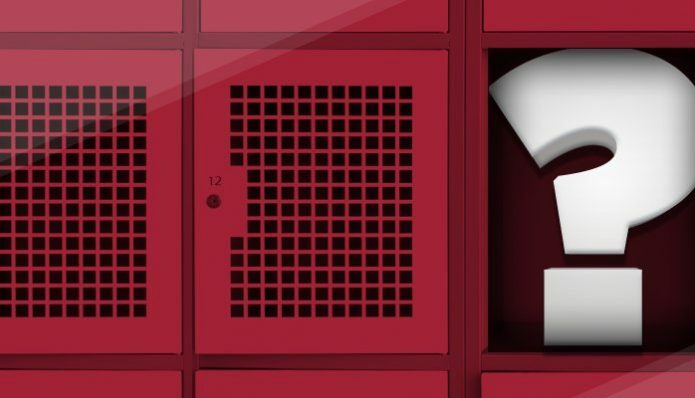 The inset design of the locker door improves security and durability.and has hinges that allow the door to open to up to 180 degrees. 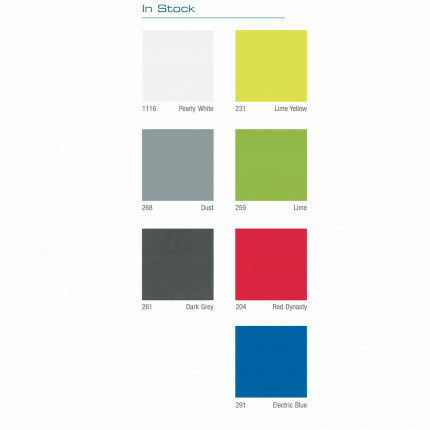 The Laminate 1 Door Locker is supplied with a top shelf plus a double coat hook. 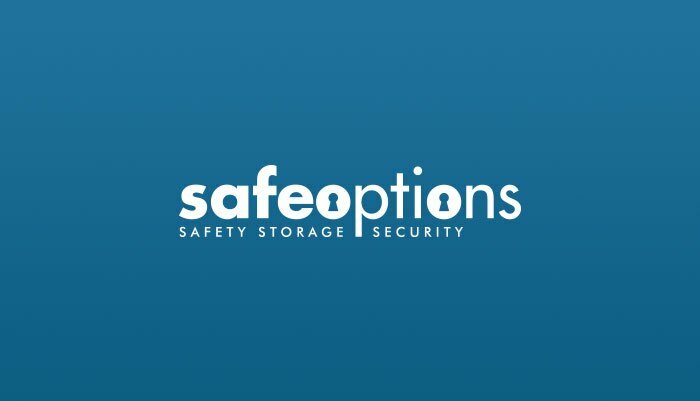 Optional extras include a locker support stand or a modular sloping top to prevent unauthorised storage or litter left on the locker top. 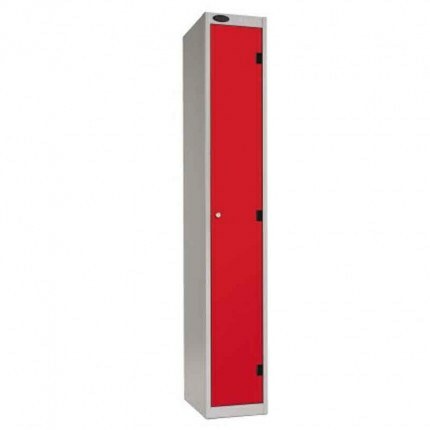 The Probe Steel Laminate Inset door 1 Compartment Locker is perfect for schools or any tough environment. 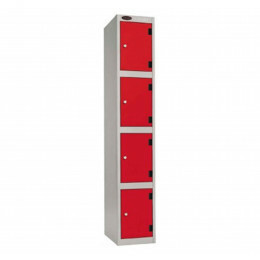 Laminate Inset Door lockers are very hardwearing, come complete with anti-vandal door stops, welded compartment dividers for added high security. 5 knuckle hinges with securing plate clamps to the hinge giving added strength for the toughest environments. 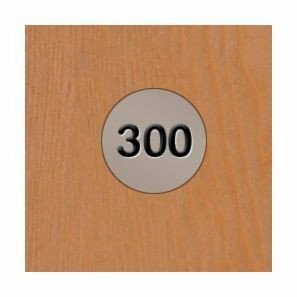 The door can be opened to 180 degrees allowing for easy access. Made with 10mm solid grade laminate doors. 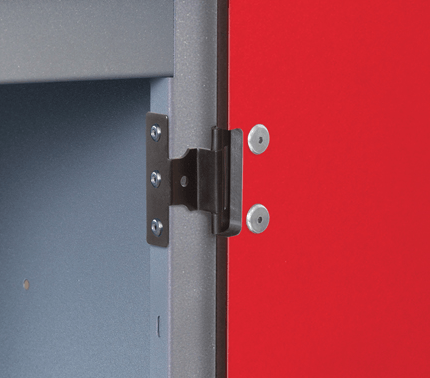 All Probe Lockers are designed and manufactured in the United Kingdom. Conforming to BS 4680:1996 ‘Standard Duty’ (excluding size specification), ISO 9001:2000 and Environmental Management System ISO 14001:2004. All Probe products are manufactured in accordance with Health & safety certification OHSAS 18001.